Acerates viridiflora (Raf.) Pursh ex Eat. Notes: Recorded U. of PA. 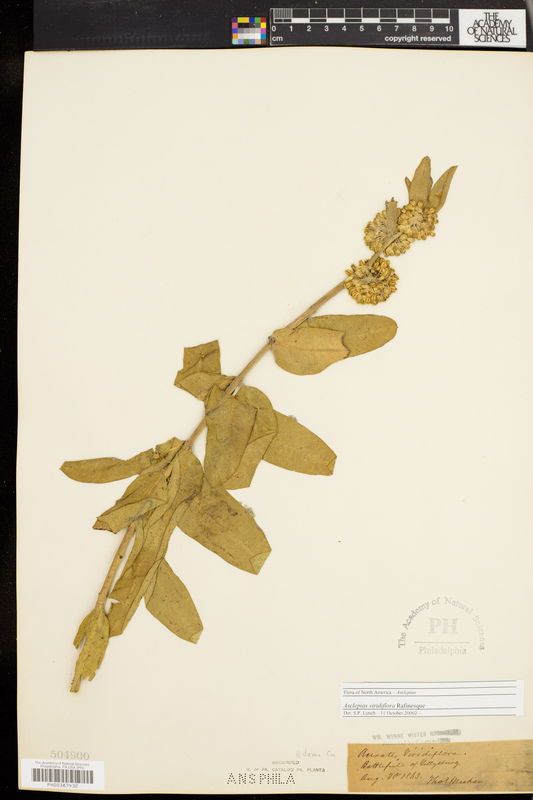 Catalog PA. plants; Wm. Wynne Wister Herbarium, Presented by Estate in 1899.